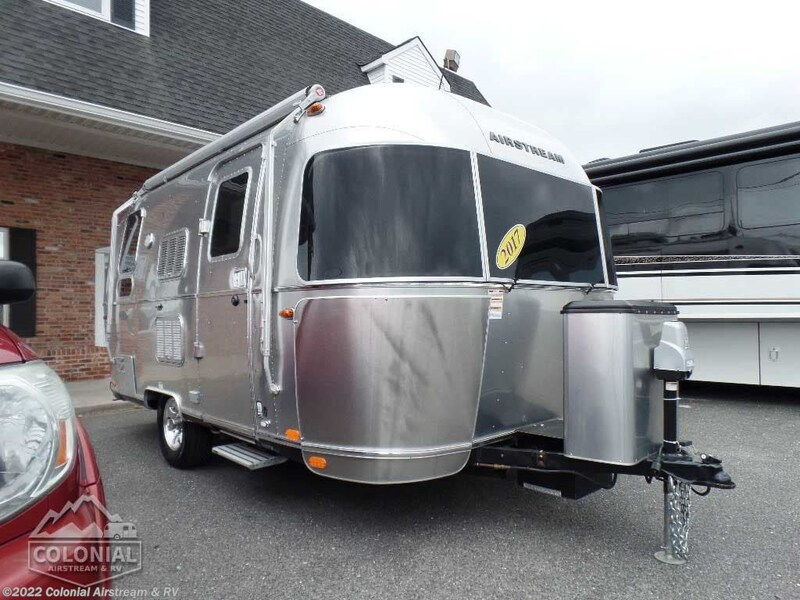 Hand Painted Front and Rear Exposed Chassis • Styled Aluminum Wheels • 3000 lb Electric Hitch Jack w/Light • 4 Heavy Duty Stabilizer Jacks • Radial Black Wall 225-75-R15 Tires, LRD 15" - Call Colonial Airstream 1-800-265-9019 • 12" Electric Drum Nev-R-Adjust Brakes • Nev-R-Lube Hubs • Spare Tire, Bracket & Steel Wheel • Thule Single Aluminum Entry Step (19C) • Aluminum Bi-Fold Entry Step (20C & Larger) . 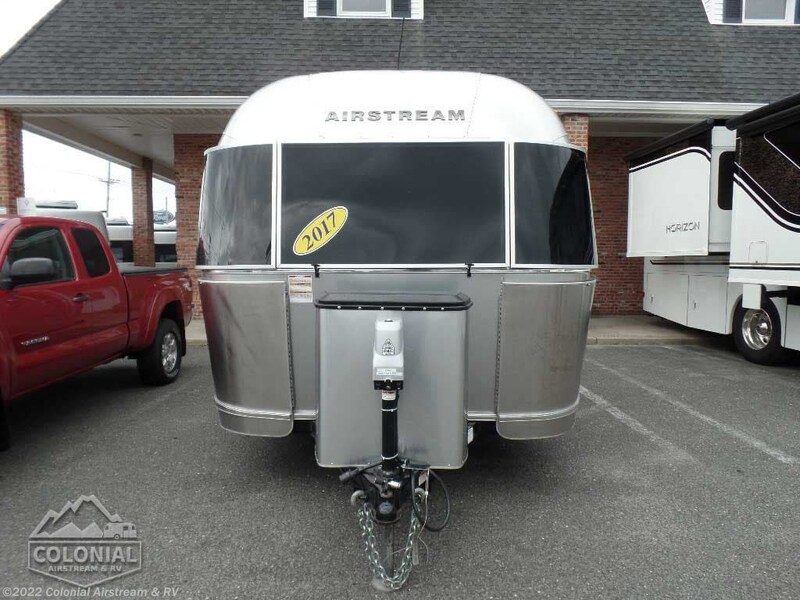 Bright Aluminum Finish / White Aluminum Finish on Roof • Polished Rear Bumper w/Storage • Flying Cloud Medallions & Graphics w/Chrome Beltline & Rub-rail w Inserts • License Plate Bracket w/LED Light • Grab H≤-Cast Aluminum • Aluminum LP Bottle Cover • Enclosed & Insulated Underbelly & Tanks • Dark Grey Patio Awning C.S. 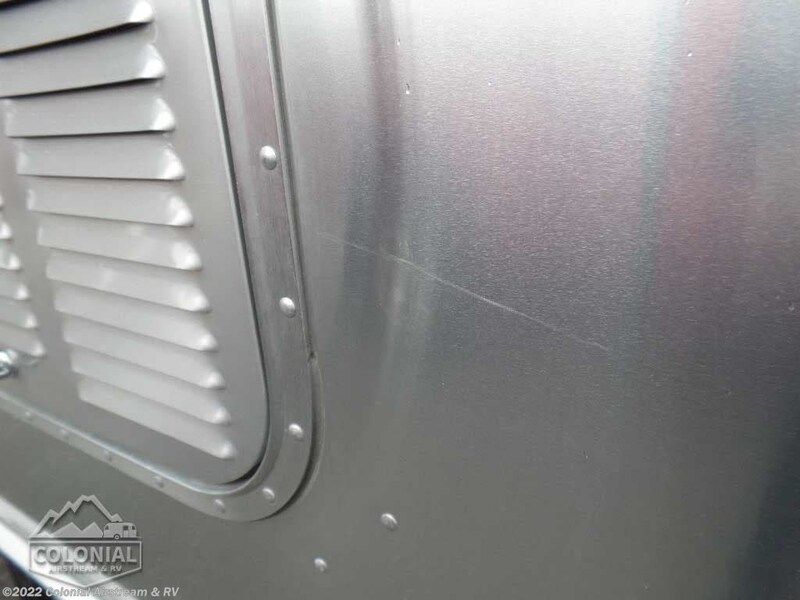 • C.S. 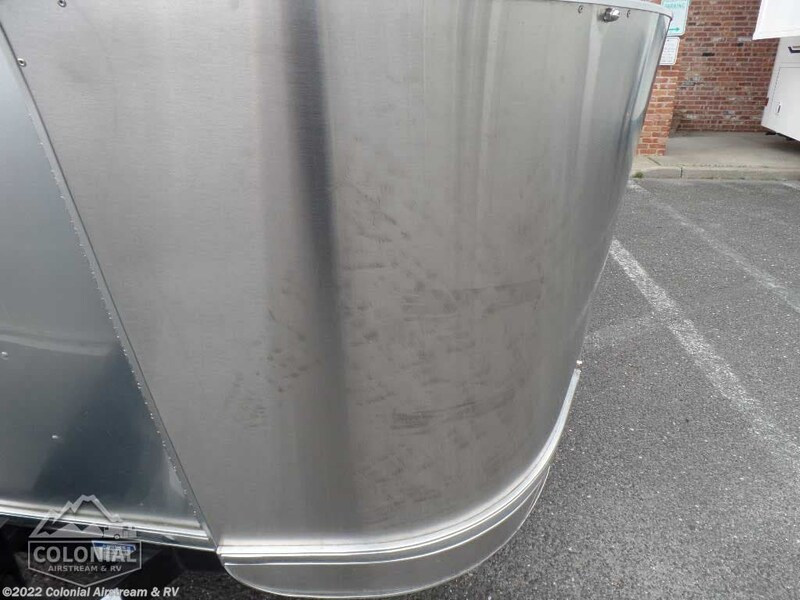 & R.S. 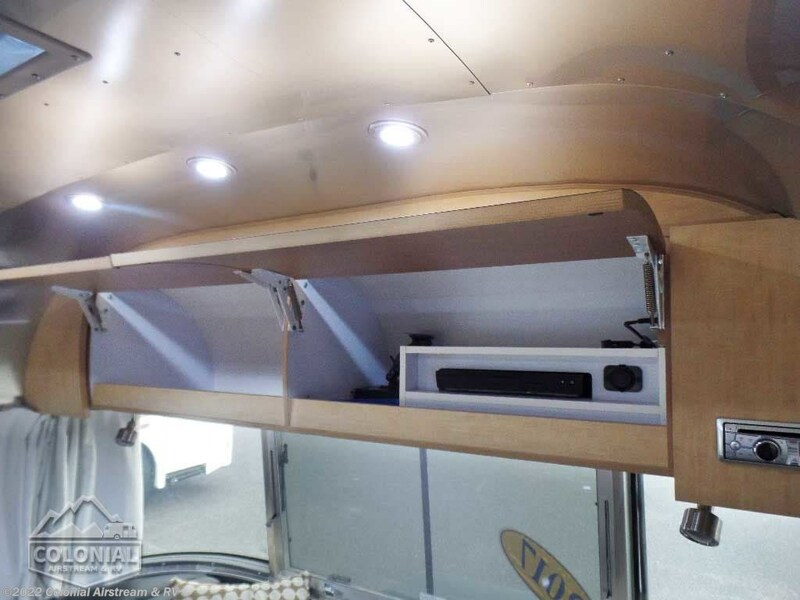 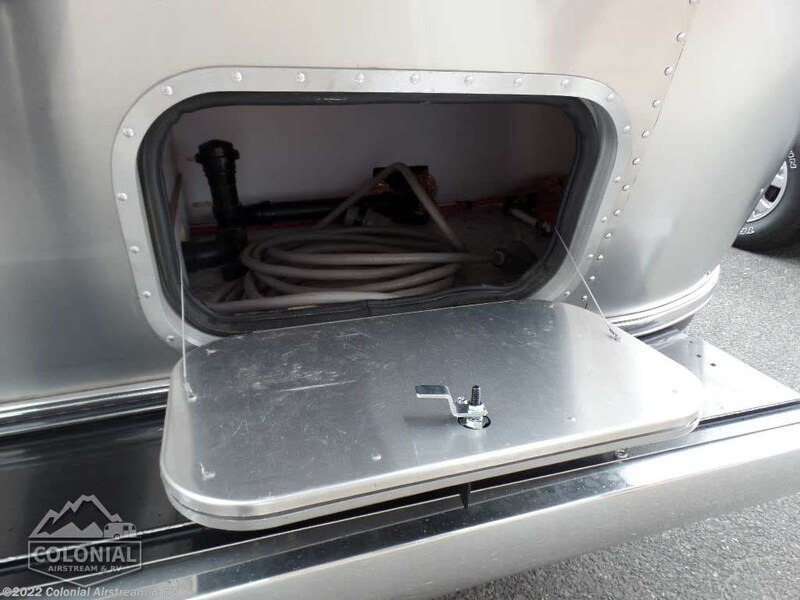 Awning Rails • Solar Stoneguard • Stainless Steel Wrap Protectors • Main Door w/Opaque Window • Call Colonial Airstream 1-800-265-9019 • Diamond Plate Exterior Storage Compartment • Cast Taillights – 6” LED Oval • Exterior Shower • Exterior LP Service Port w/Quick Connect Hose & Adapter Fitting • Portal Windows • LED Light Strip on Patio Awning with Dimmer Switch. 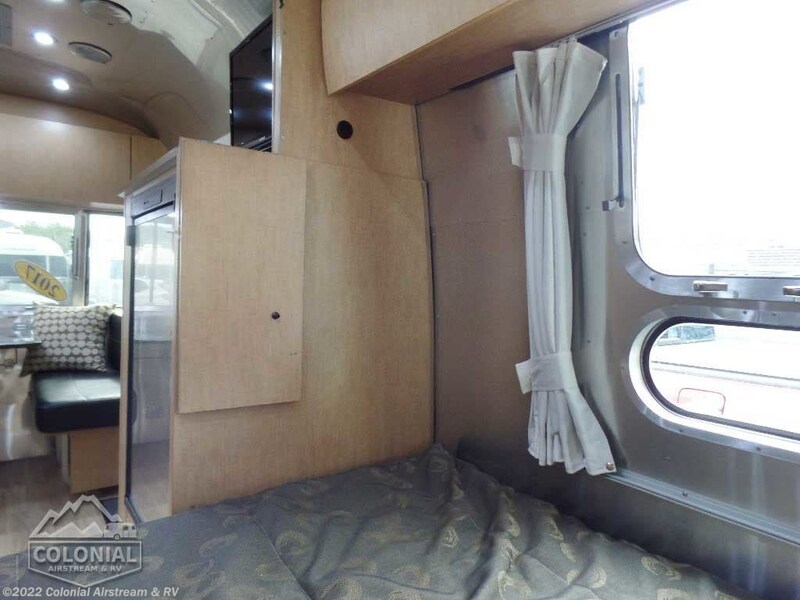 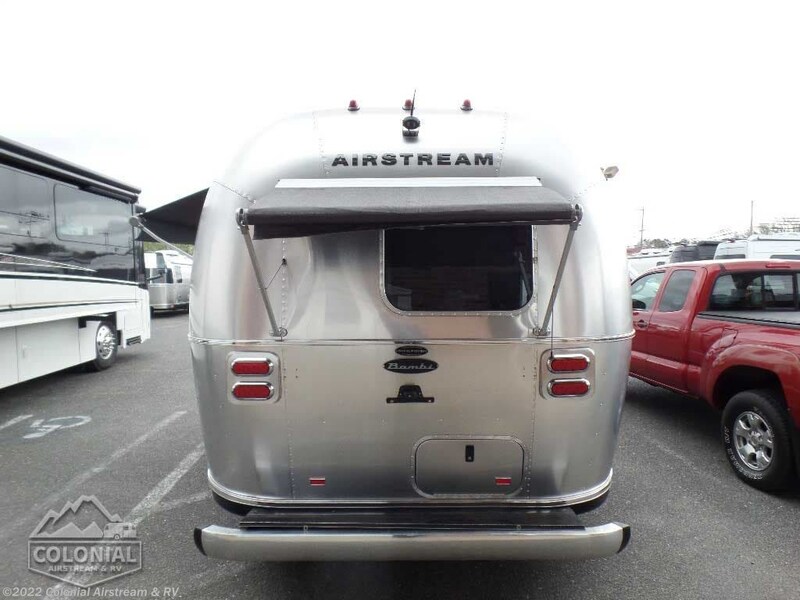 Pull Roller Shades on All Windows except Drapes on Panoramic Windows (N/A 30FB) • Bright Aluminum Finish Interior Skin • Wood drawer boxes w/ full extension, self closing ball-bearing drawer glides • Overhead Rooflockers w/ Radius Doors • Entrance Mat w/Airstream Logo • Grab Handle • Vinyl Flooring Throughout • Call Colonial Airstream 1-800-265-9019 • Satin Finish Hardware • Curtains W/Blackout Linings • 5-Hook Key Holder • LED Ceiling Lights • Magazine Rack (N/A 27')• Laminate Furniture & Countertops. 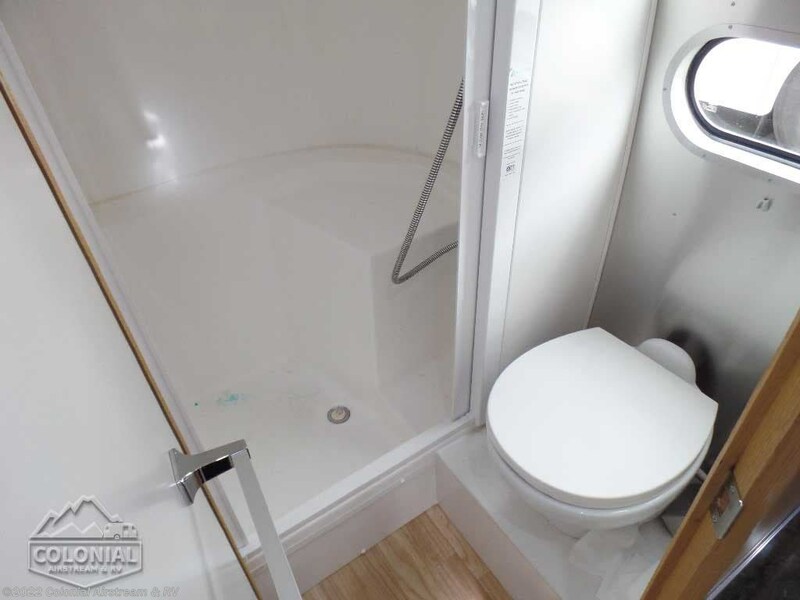 Towel Bar & Ring • Hinged Bath Door (20' & 23FB w/Window) • Retractable Clothes Line in Shower • Stainless Steel Round Lavy Sink • China Toilet • Mirrored Medicine Cabinet (N/A 23'FB & 30'). 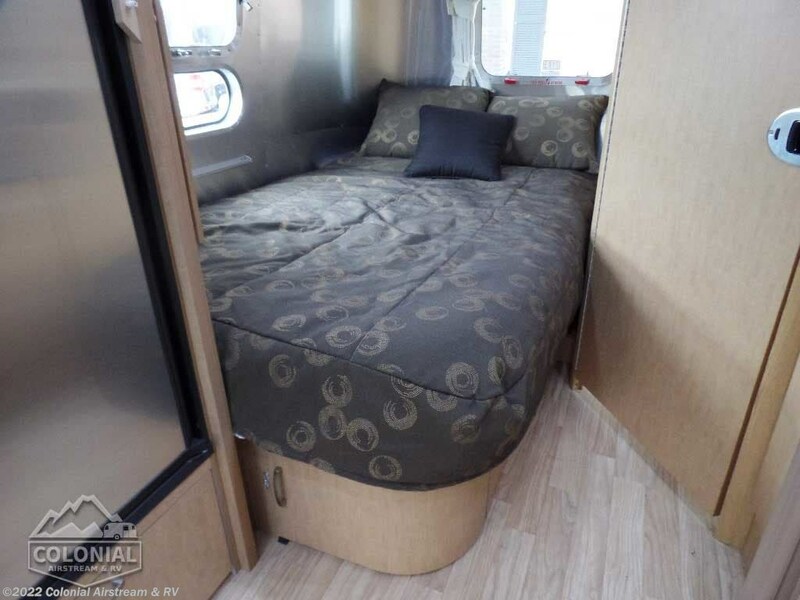 Pillow Top Memory Foam Mattress • Quilted Bedspread w/Reverse Sham w/Decorative Throw Pillows • (2) Regular Bed Pillows • Call Colonial Airstream 1-800-265-9019 • Removable Under Bed Storage Bins • Sleeping Capacities: 2 - 4 (19'; 20'); 2 - 5 (23D; 25' 27'); 2 - 6 (28' & 30'); 8 (30FB Bunk) • 30 FB Bunk Only Has Corner Double Lower Bed 54"X76" w/pillowtop memory foam mattress & single upper bunk 30"X78" w/quilted mattress /C.S. 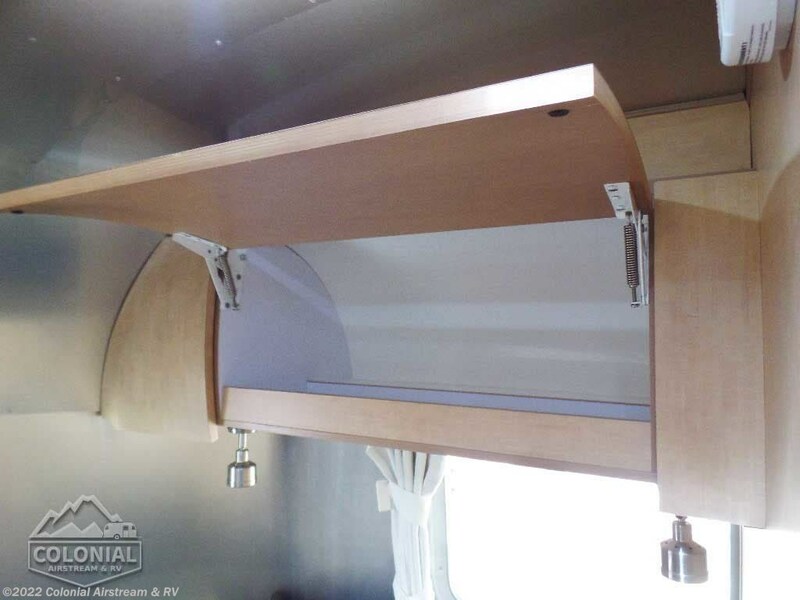 Wardrobe Sleeping Capacities: 2 - 4 (19, 20, & 23FB); 2 -5 (23D, 25 - 27); 2 -6 (28 & 30); 2- 8 (30 Bunk). 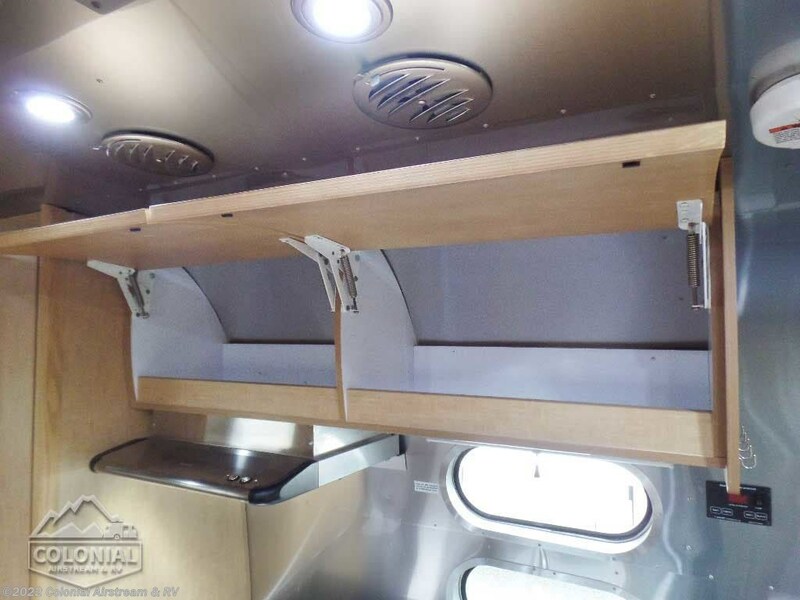 Laminated Galley Top • Sink Cover(s) • S.S. 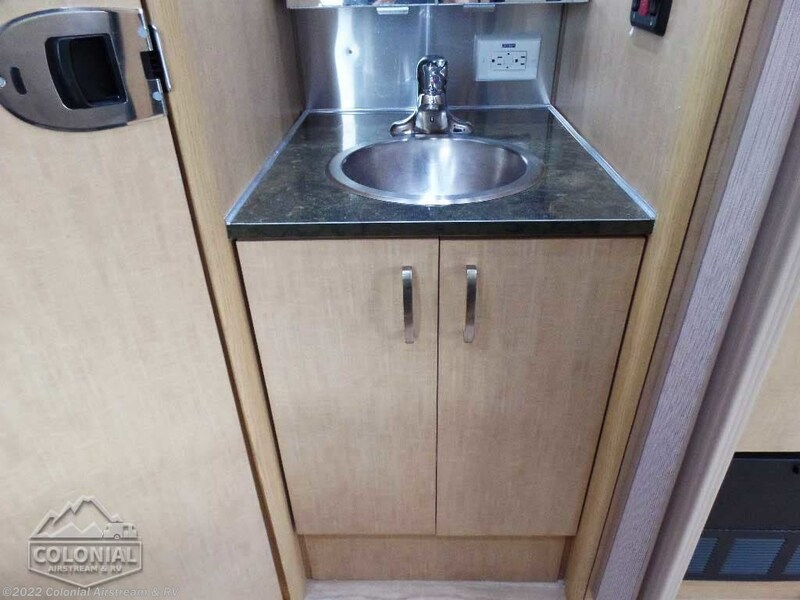 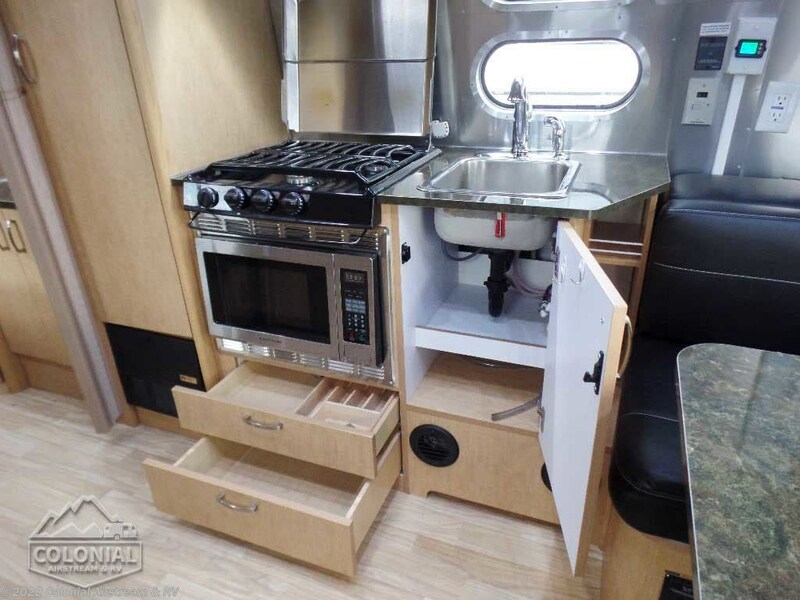 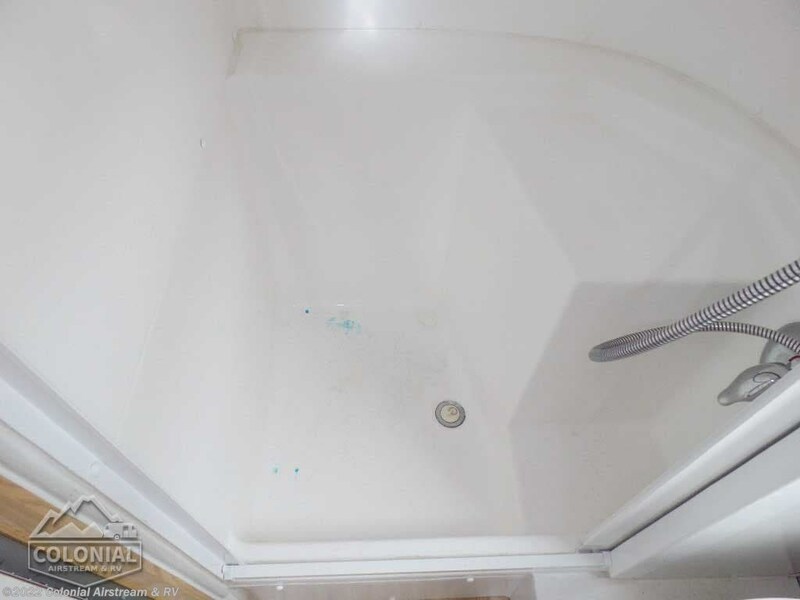 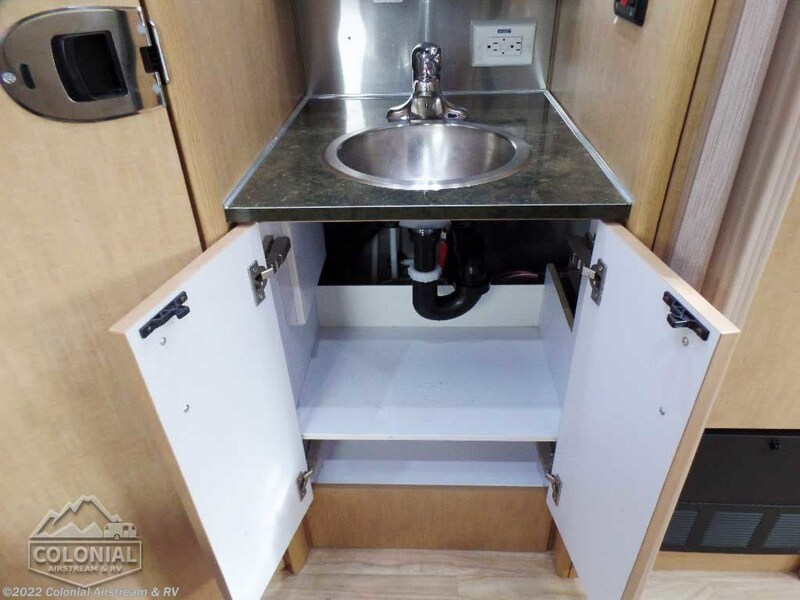 Single Bowl 18” Sink (Double Bowl on 20' & 23'FB) (15.75" Rectangular Bowl on 19') • Faucet w/Separate Sprayer • Aluminum Insert on Refrigerator • Pantry Storage (N/A 28') • Bi-Fold Stainless Steel Range Cover • Overhead Rooflocker w/Radius Doors • Cutlery Drawer w/Hardwood Maple Drawer Organizer • Filtered Cold Water. 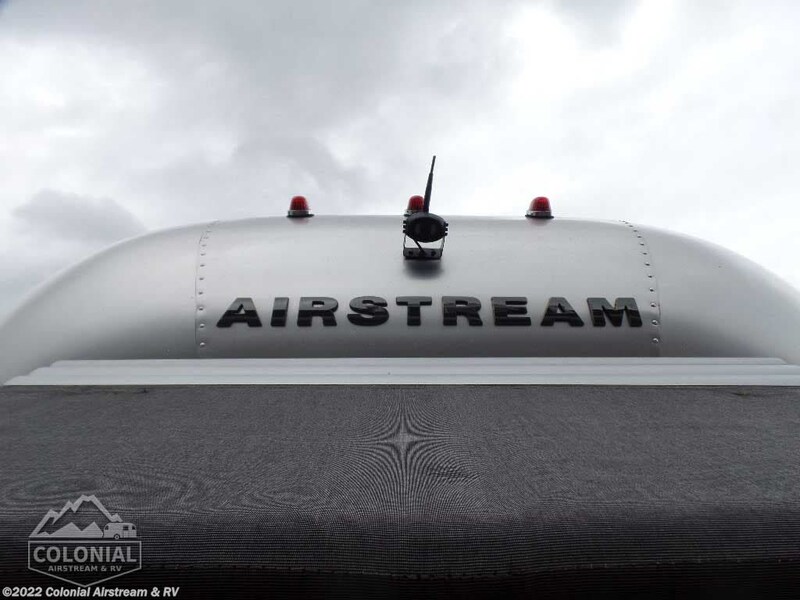 Radio Antenna • LED HD TV (22" for 19'-23' & 29" for 25'-30') • Blu-Ray Player w/ Any Net Feature • Clarion Digital Media Player w/ Display for iPod/MP3 • 2 pair of 6.5" 2 Way Clarion Speakers 30W • Call Colonial Airstream 1-800-265-9019 • Active Sub-woofer–100 Watt • Cable & Portable Satellite Hook-Ups • TV Antenna, Signal amplifier & TV Jack • LED/ HD 22' Bedroom TV (25' - 30') w/ Articulating Wall Bracket • Bunk Area TV (30FB). 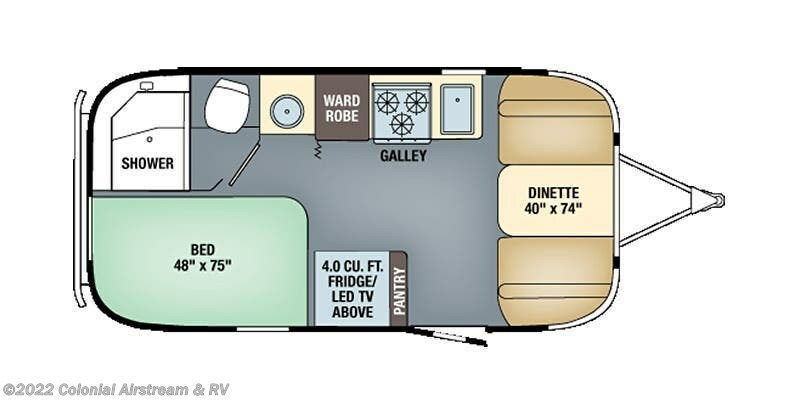 13,500 BTU Air Conditioner w/Heat Pump & Electronic Controls (19'-23') • 15,000 BTU Ducted Air Conditioning System W/Heat Pump & Electronic Control (25' - 28'), Bedroom 2nd A/C for 30' • Comfort Control Center • Furnace w/Electronic Ignition (16,000 BTU for 19'; 18,000 BTU for 20' & 23'FB; 25,000 BTU for 23'D; 25' - 27'; & 30,000 BTU for 28' & 30') • 3-Burner Cooktop w/Oven w/Black Top & Stainless Steel Door • Microwave (23', 25RB, 30') • Stainless Steel Range Hood w/Vent & Light • Call Colonial Airstream 1-800-265-9019 • 2 Fantastic Vents w/Thermostat & Rain Sensor • 12 volt Bath Exhaust Fan (N/A 23'FB) • 2-Way Refrigerator (4 cu. 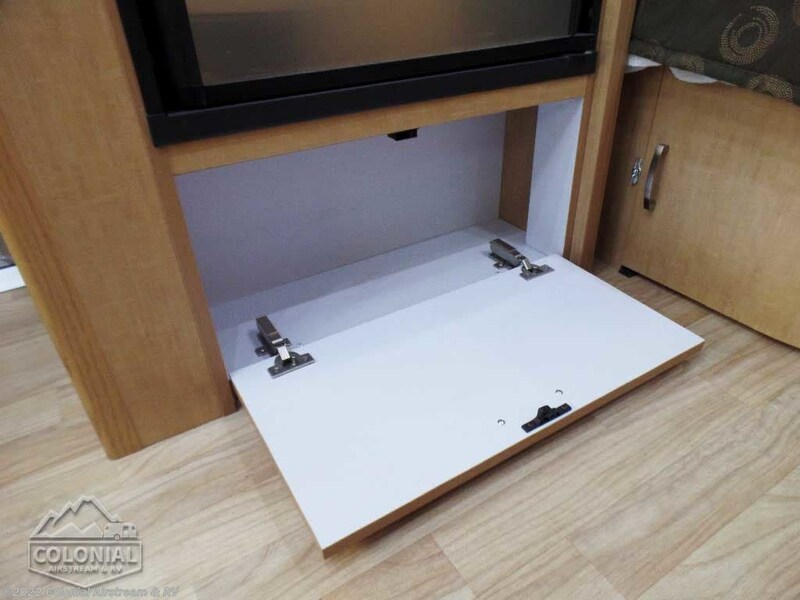 ft. refrigerator in 19'-20'; 5 cu. 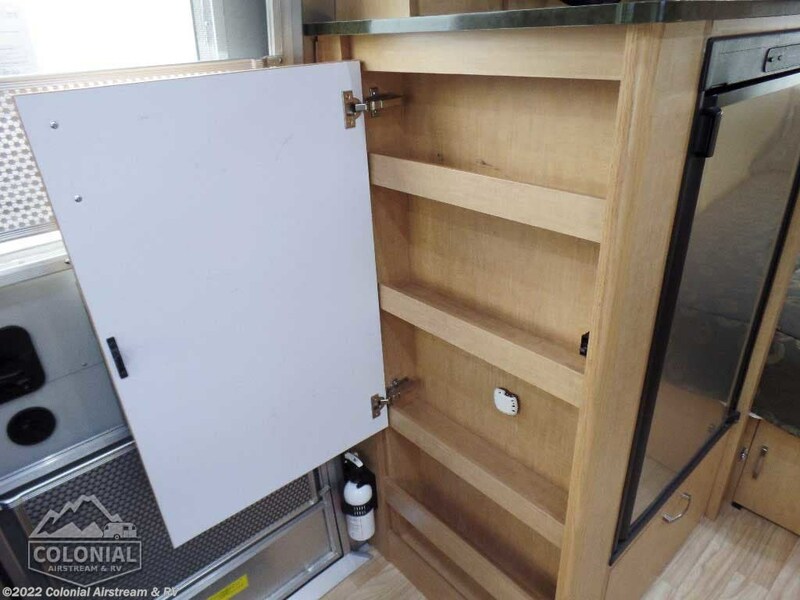 ft.refrigerator in 23'; 7 cu.ft.refrigerator in 25' - 28'; 8 cu. 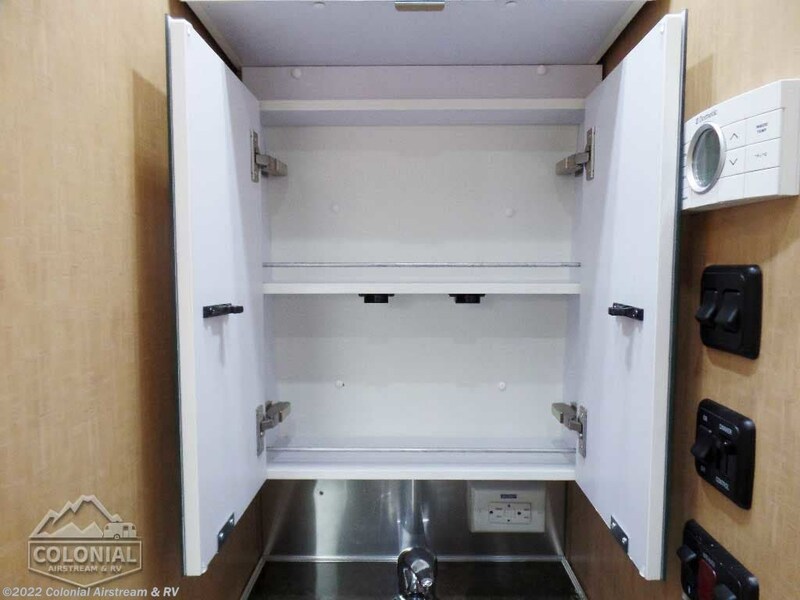 ft.refrigerator in 30') • Probeless Tank Monitoring System (Wall Mounted) • 6 Gallon LP/Electric Water Heater – XT Series (Equivalent Output of a 9 Gallon Water Heater) • Fire Extinguisher • LP, Smoke & Carbon Monoxide Detectors. 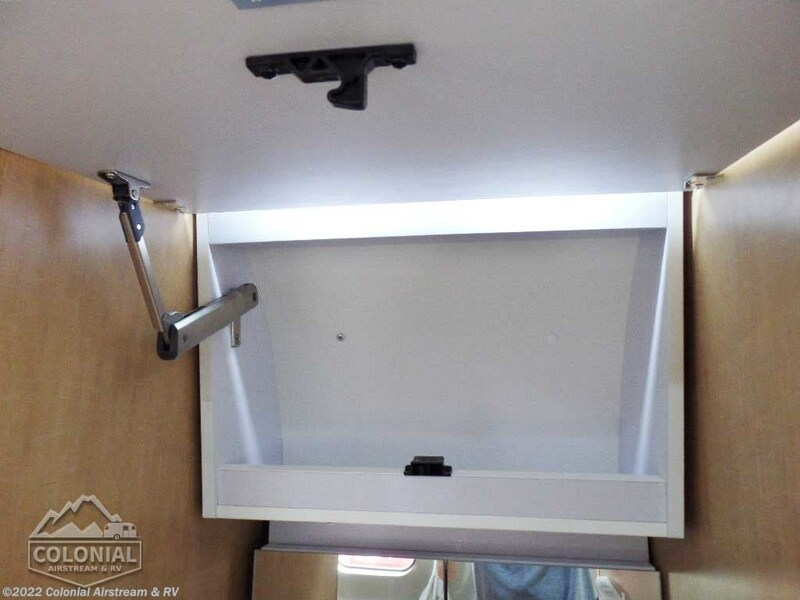 2 Deep Cycle Coach Group 24 Batteries • 7-Way Trailer Cord w/Junction Box • 110volt AC/12volt DC Power Center w/55 amp Converter • 12 volt ATC Fuses • Interior LED Lighting • Directional LED Reading Lights • 120 volt Exterior Outlet • Electronic Battery Disconnect • GFI Protection for Bath, Galley & Exterior Outlet • Exterior LED Lighting Package Includes: Dump Valve, Compartment, Area & Step Light • Water Pump Switch at Galley • Solar Prewire W/Roof-Top Plugs & Plug For Portable Solar at Front Trailer A-Frame • Call Colonial Airstream 1-800-265-9019 • Dimmer Switches (2) – Main Ceiling & Bedroom Lights • Remote Generator Ready (25' - 28') • 30 amp Service Detachable Power Cord (19C - 28') 50Amp 30' • 3 USB Charge Stations •1000 Watt Inverter. 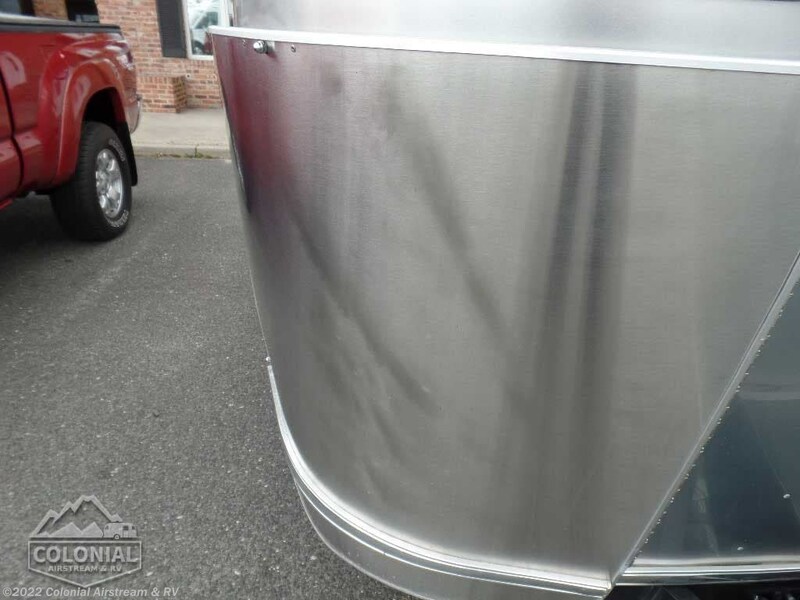 2 30 lb. 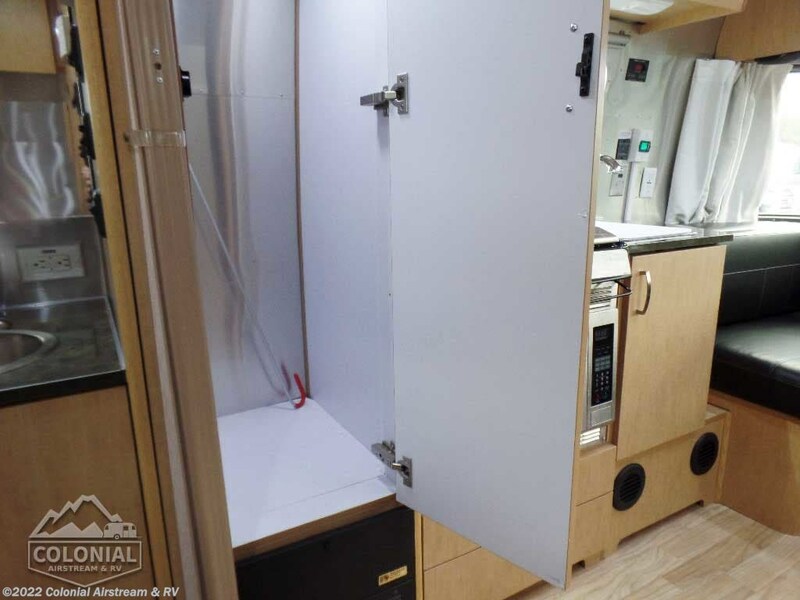 Steel LP Bottles • Automatic 2-Stage Regulator • Shower Head w/Shut-Off • Water Pump • Water Heater By-Pass Kit • Heated tanks - Forced Air (19', 23'D, 23'FB, 25' - 30') -Electric Heat Pads (20' ) • Lockable Water Fill • Water Pressure Regulator • Safety Chain Hook 11,700 lb Rating • Sewer Hose Storage Tube • Call Colonial Airstream 1-800-265-9019 • No Fuss Tank Flush System. 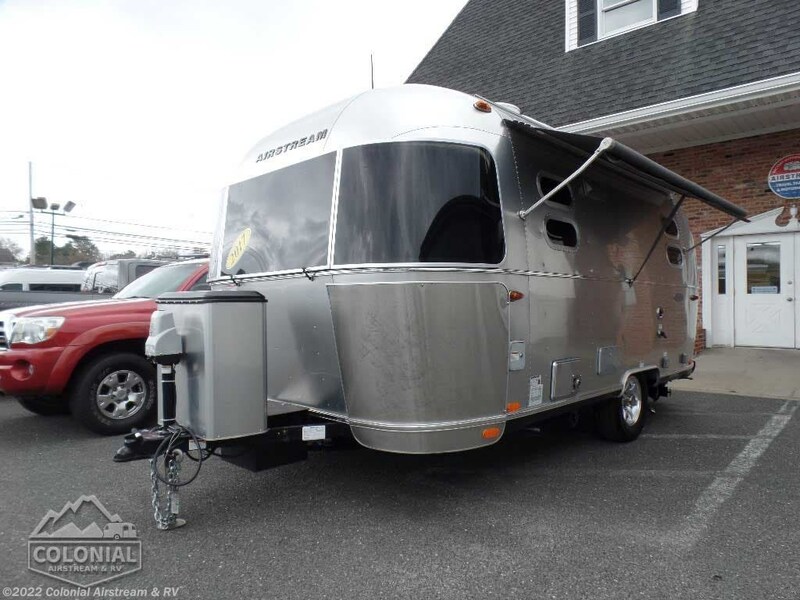 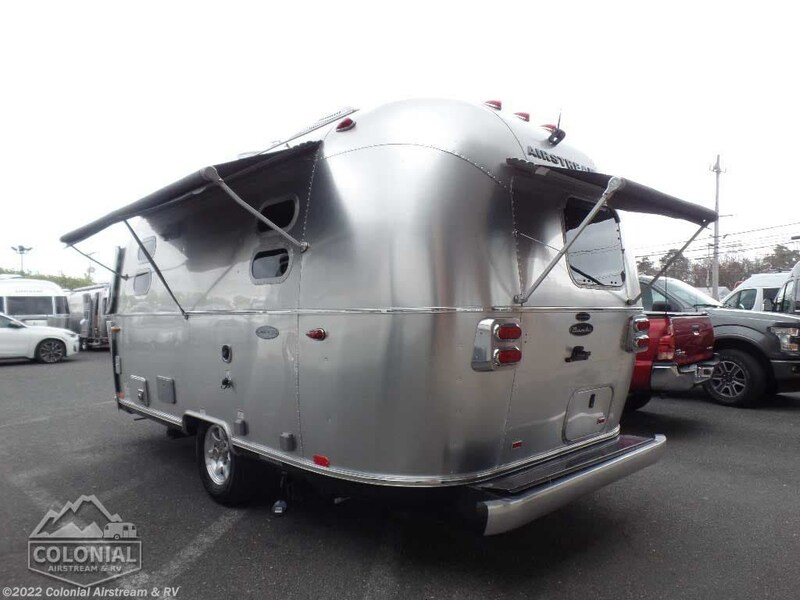 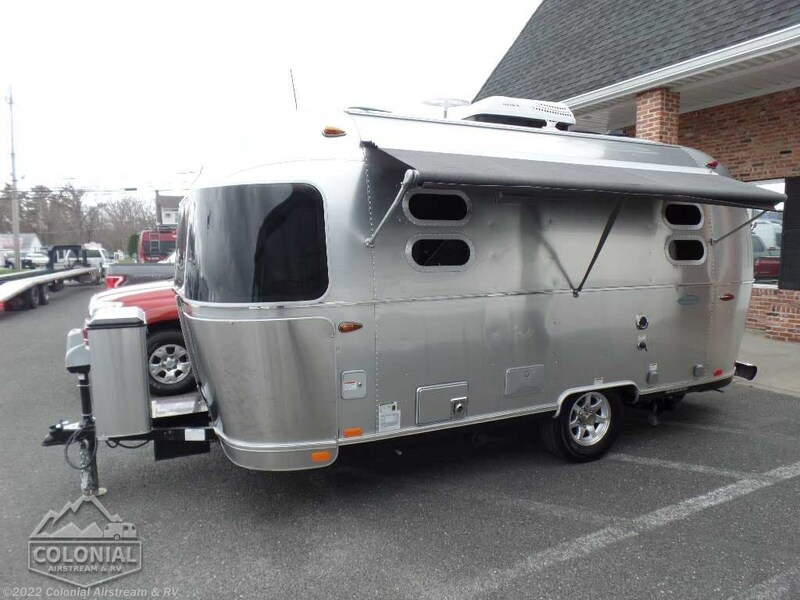 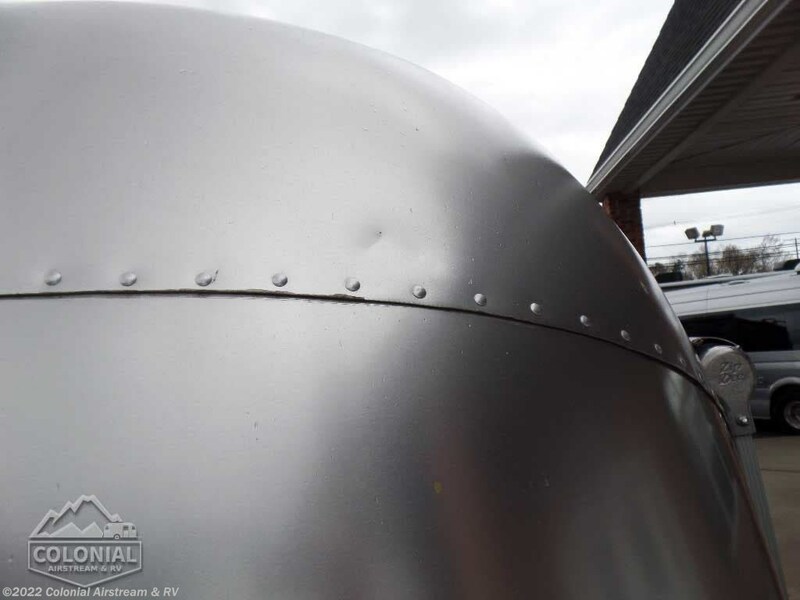 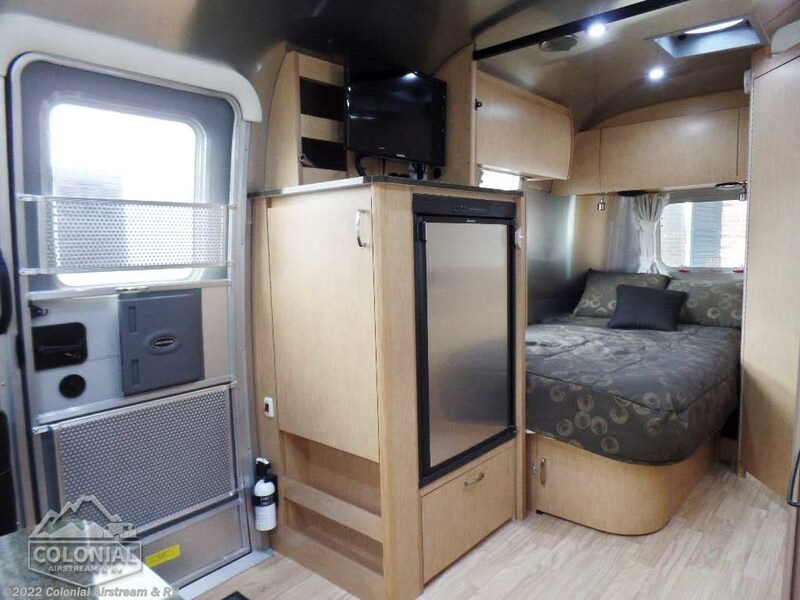 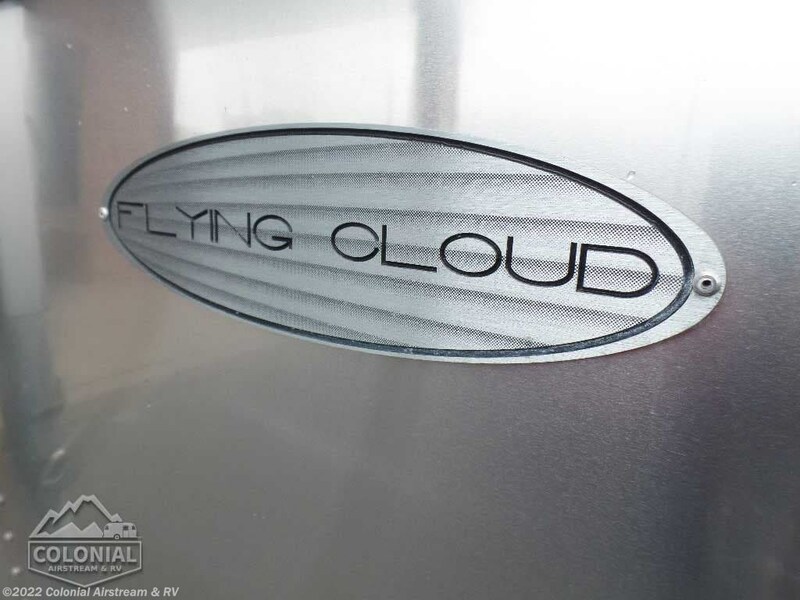 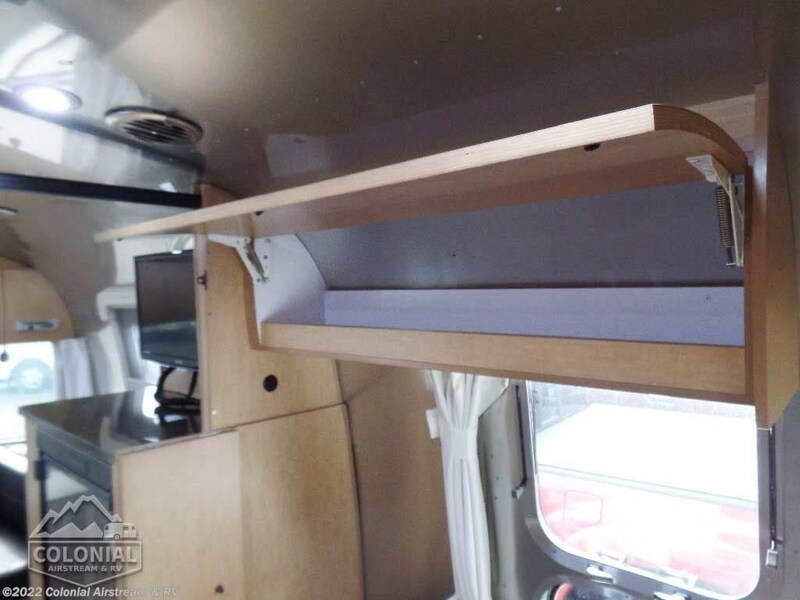 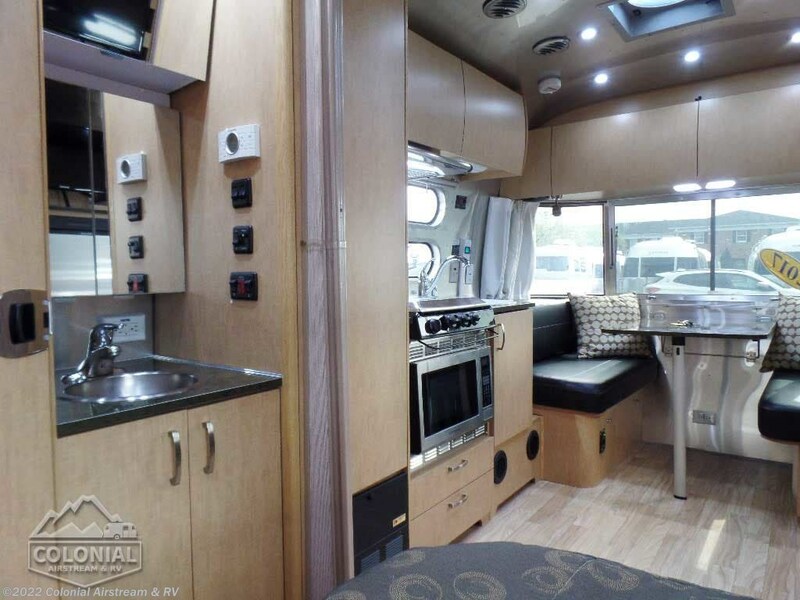 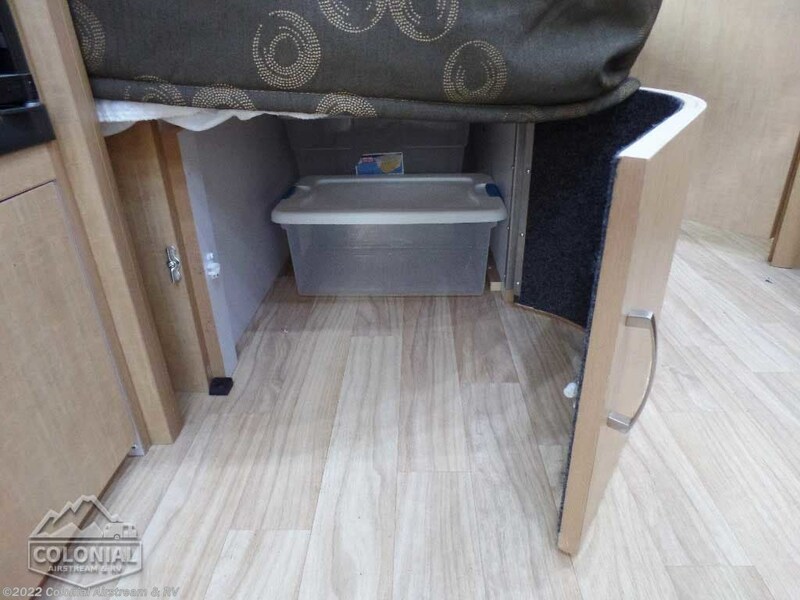 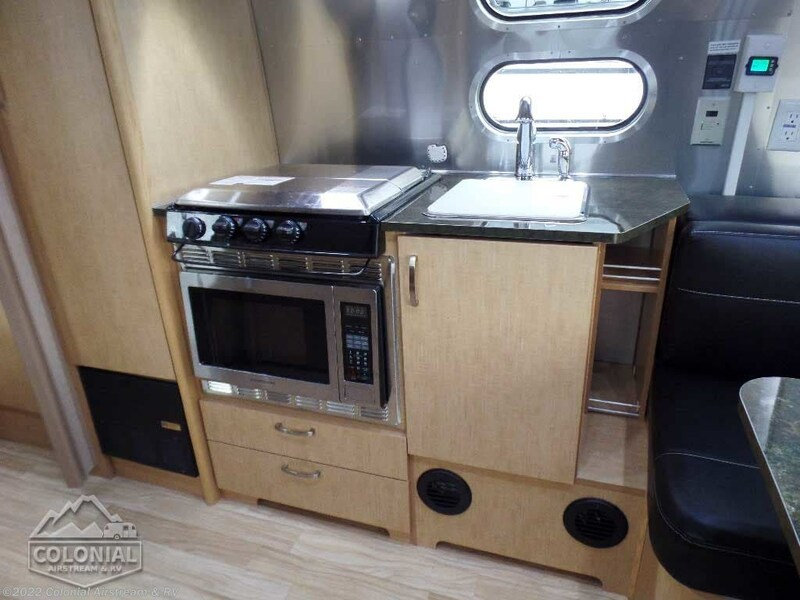 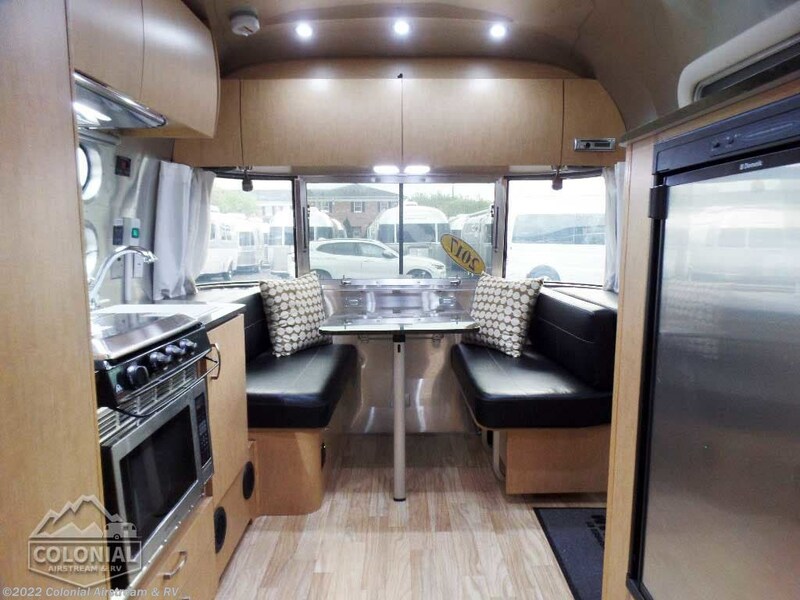 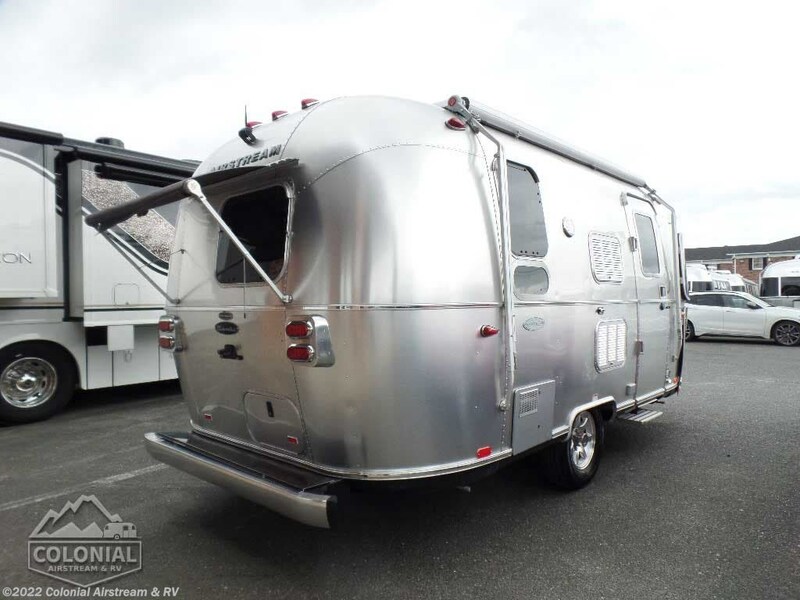 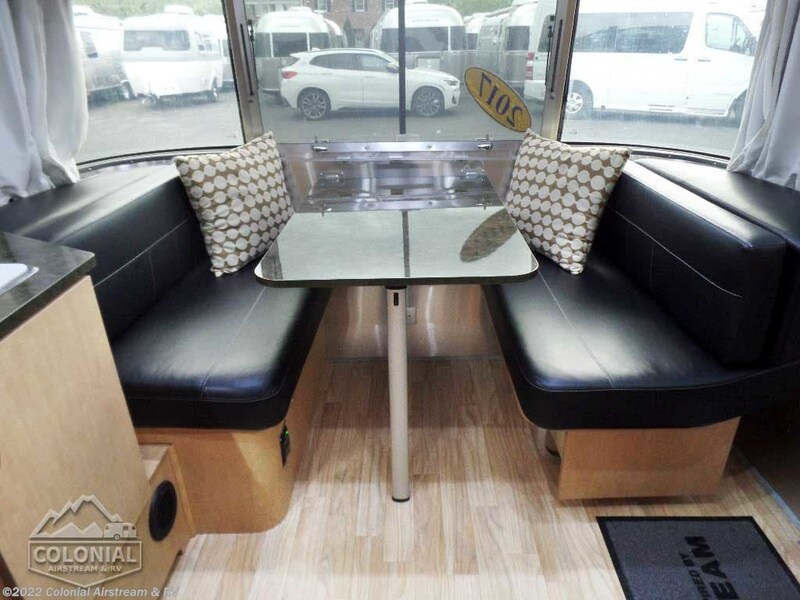 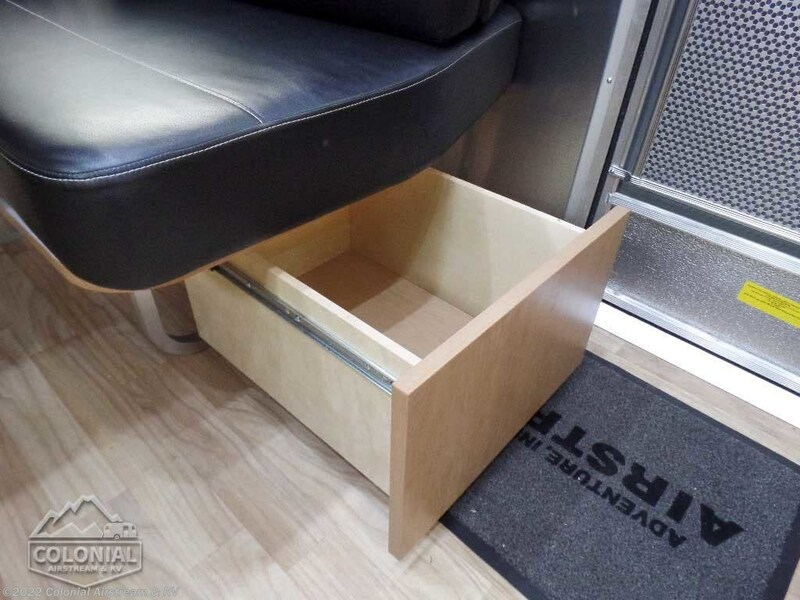 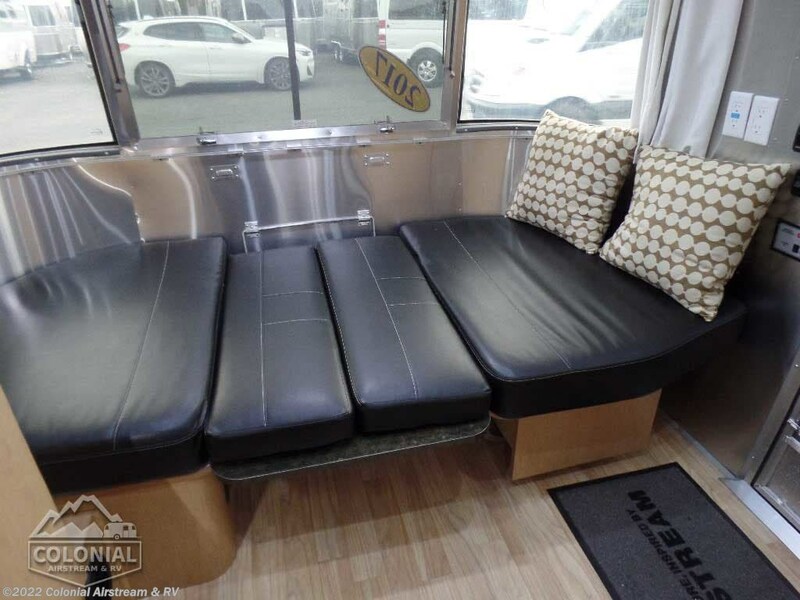 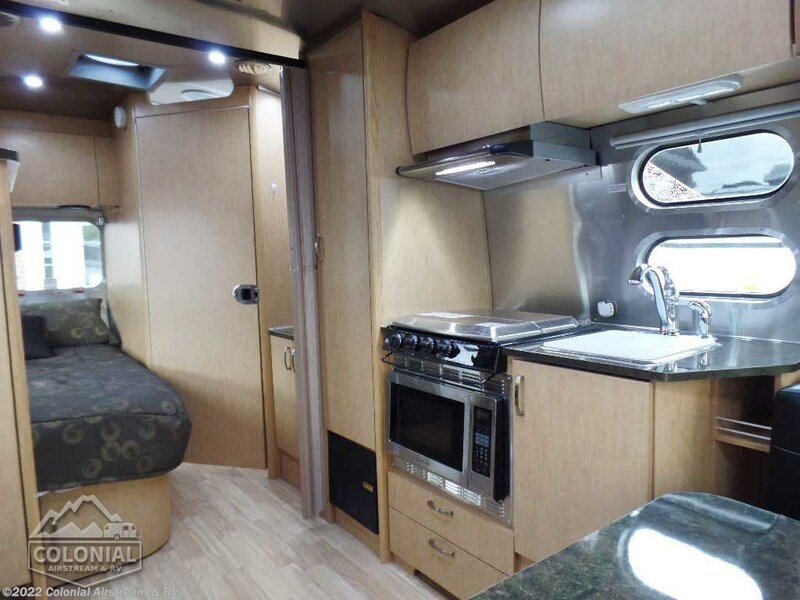 Check out Stock # 12186A - 2017 Airstream Flying Cloud 19C Bambi on airstreamrvsource.com!